Register with our Wolf Points Bonus program and accrue points to redeem free prizes. The more you shop with RedWolf, the more you win! Worldwide direct to any country where airsoft is legal via overnight delivery service (deliveries to some countriess take 2 - 3 days). You can track the packages as they are shipped to you. 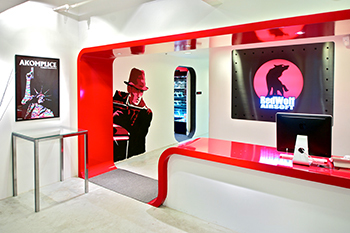 For certain countries such as the United States and Taiwan, RedWolf will perform the necessary work for free to ensure the shipment complies with all local customs regulations. These include trademark removal (if certain trademarks are not legal for use in your territory) and painting the muzzle to the compliant orange tone. While we are familiar with the customs regulations of most countries, you should check your local regulations regardless to reduce the chances of seizure. Your money is as important to us as it is to you! To prove this, we offer a money back guarantee that your order reaches you safely (applies to all countries where airsoft is legal). 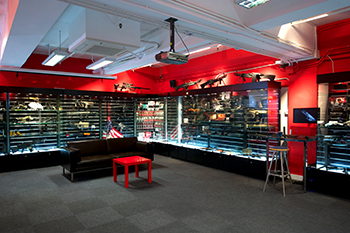 After over 25 years building custom Airsoft guns, Airsoft Surgeon has opened his own boutique shop in the Central district of Hong Kong. 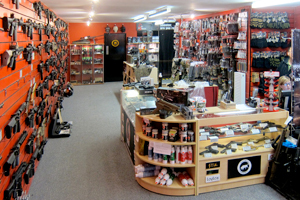 If you are looking for high end custom guns or wish to charter Airsoft Surgeon to build you a bespoke one, please visit him in his shop. Unfortunately our building does not offer public parking. However there are many parking lots within a minute's walk to our showroom. We recommend V Ga Building or the Peninsula Tower down the street which offers HKD 10 / hour parking (entrances are located on Wing Hong Street). Zoom in on the Google Map below to see their location to the right of our building. Otherwise, park at any of the other facilities in the vicinity denoted by "P" on the map. Street parking is not recommended for prolonged periods since police do ticket in the area. 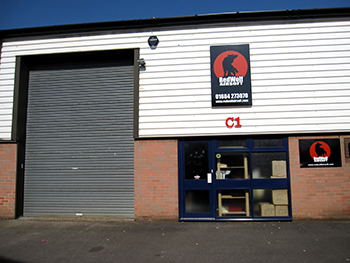 As from the 1st June 2012, we have a showroom at our head office for local pickups of orders placed online.